What are the differences between the Slow Cooker and the Instant Pot? How do I know which one I need? Watch our founder and creator, Tricia, talks all about the similarities and differences in these two appliances, how to do freezer cooking for both and get your questions answered! 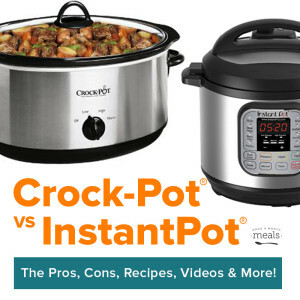 See our blog post for the breakdown on the differences between the Instant Pot and Crock Pot!